Se7en Bites is the brainchild of Chef Trina Gregory-Propst and has steadily become a hit among locals. From the humble beginnings of the original location at 207 N. Primrose Drive, this bakery and savory eats spot has kept its commitment to quality eats that are reminiscent of a forgotten age of Southern hospitality. In May of 2016, Se7en Bites opened up shop in a larger building, just up the road from the original location. The new spot at 617 N. Primrose Drive is a 3,500 square foot space with plenty of room to dine inside and also includes an outdoor patio area with picnic tables and umbrellas to enjoy the beautiful Florida weather. 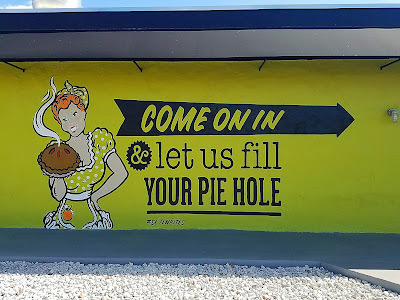 The bakery is full service with bread, doughnuts, fritters, bagels and muffins, cakes, pies, tarts, cookies and moon pies, as well as whatever special creation they whip up. The kitchen menu has items for breakfast or lunch on the weekdays with special menus for brunch on the weekends complete with beer-mimosa specials. With a focus on Southern fare, the breakfast menu is full of savory dishes like biscuits and gravy, grits, savory ham bread pudding, buttermilk biscuits topped in a variety of ways and eggs any way you can imagine. Lunch offerings consist of a Southern Cuban, quiche of the day, meatloaf sandwich, grilled pimento and cheese sandwich and a 5 cheese mac & cheese just to name a few...and everything is made from scratch. Tastes Of Orlando stopped by recently for a Saturday brunch and it was pretty damn tasty! This was part of the always changing brunch menu. It's a gigantic Fajita Burrito packed full of potatoes, eggs, fajita chicken, peppers & onions, cheese and is drizzled with hollandaise and avocado crema. Delicious. At Se7en Bites, Southern cooking is at the core, just with a little more flair. These Buttermilk biscuits are topped with a creamy thyme sausage gravy and served with bacon, an over easy egg and a side of addictive cheddar chive grits. Of course you have to grab some sweets to take with you to eat later on if you are full from your meal. Cookie Bars, Fudge Bars, Pies, Moon Pies, or how about a made from scratch Oatmeal Cream Pie? I’ll take 2 of everything...Thanks! Se7en Bites is closed on Monday’s but from Tuesday through Friday they are open from 7:30am until 3:30pm. Saturday and Sunday they are open for brunch from 9:00am until 3:00pm. They carry a full line of Abita beer and offer Blackberry Sangria and Orange Blossom Mimosas on the weekends. 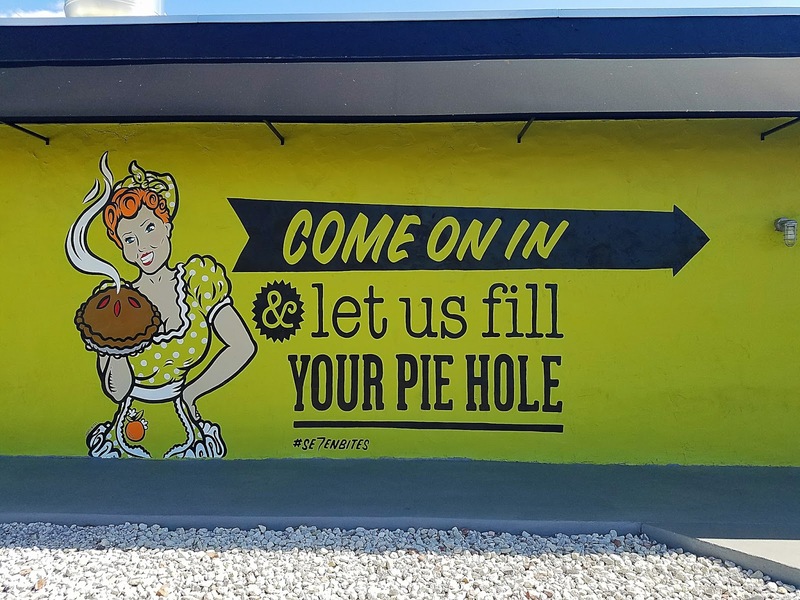 Stop on by and let them fill your pie hole.